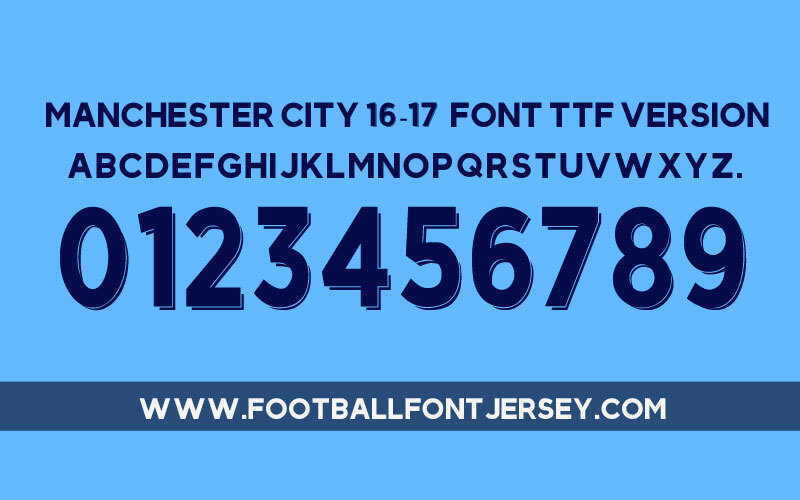 Now we update Manchester City 2016 / 2017 font , this font will be worn at UCL and FA Cup , for England Premier League will worn official font from EFL. 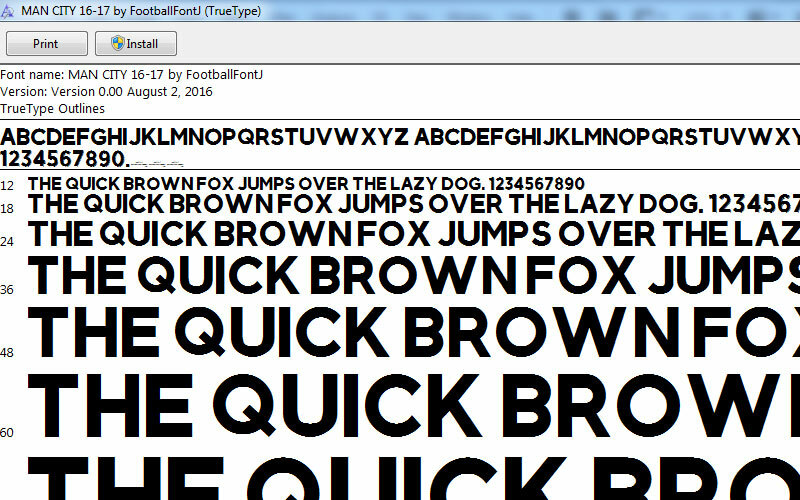 We made 2 format TTF ( for windows ) and OTF ( for Mac ) and we archived in ZIP file , you can open or extract directly from your computer. Please check your mail ( include SPAM folder ) if you dont get link directly after payment completed. 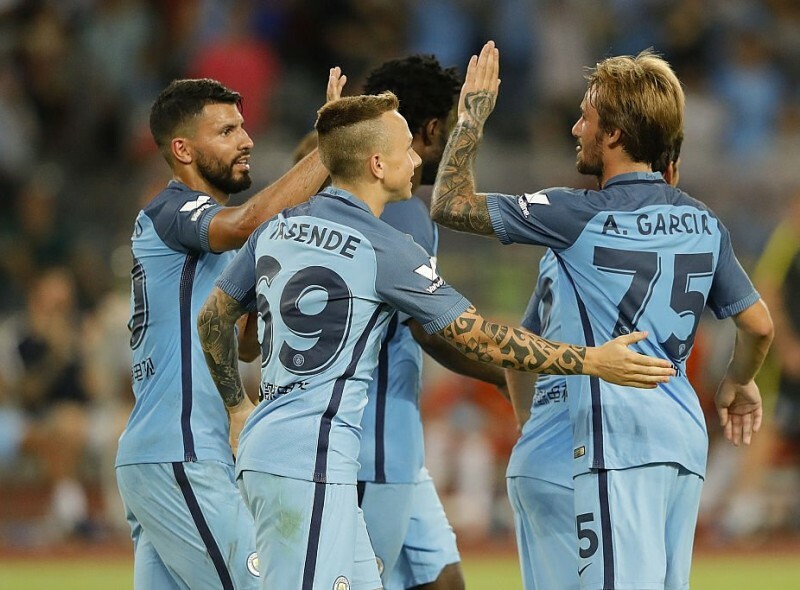 This entry was posted in English Premier League, Manchester City and tagged 2016/2017, Font, Manchester City, Premier League, TTF.